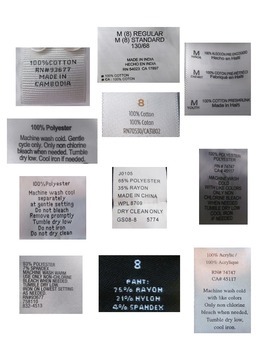 This product provides activities for students to practice reading real clothing tags. This is a skill that students need for doing laundry and wearing clothes. Included in this product are worksheets, task cards and file folder activities. 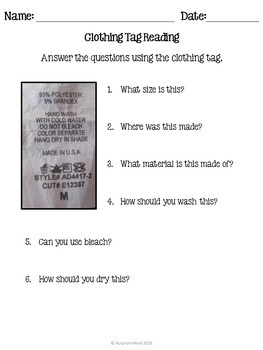 The worksheets include a picture of an actual clothing tag and 5-7 questions about the tag. There are 10 different worksheets. The task cards are designed to be used with actual articles of clothing. There are 12 task cards. The students will read the clothing tags and answer the questions on the task cards. The student can answer these questions using a dry erase marker, on separate paper, or by verbal response. 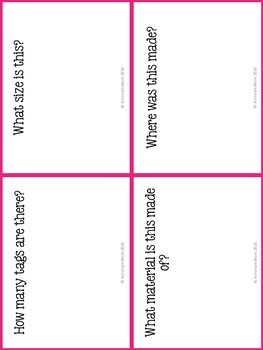 The cards can be used for instruction, guided practice, or independent work. A data sheet has been included. The 3 file folder activities require the students to sort different clothing tags into the appropriate categories. There are three different file folder activities included in this product: size, material, and water temperature. Data sheets are included. 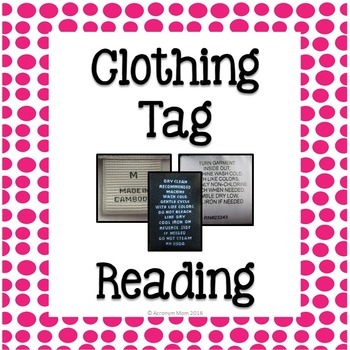 All of these activities will help students to become more proficient at reading clothing tags.